Hollywood has deservedly been labeled the epicenter of the “left coast.” It is a city full of misguided liberal actors who are too detached from mainstream Americans and traditional values. Recently, conservative actor Jon Voight took a few pro-Hamas actors to task for their shameful comments about Israel’s efforts to defend their democracy from terrorism. And now, what began with a relatively small number of Hollywood celebrities voicing support for Israel has become almost 200 celebrity names signing on to a pro-Israel, anti-Hamas petition. 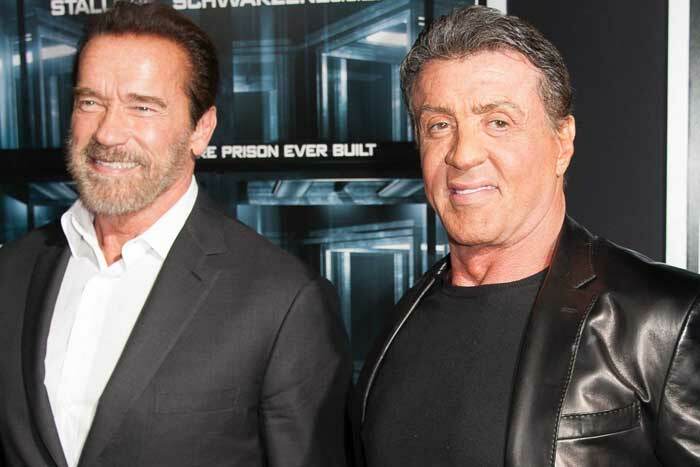 Even superstars like Sylvester Stallone and former California Governor Arnold Schwarzenegger have signed on. In addition, some actors you wouldn’t expect to be on the correct side of this issue surprised us – A-Listers, such as Seth Rogen, Sarah Silverman, Tom Arnold, Rosanne Barr, Mayim Bialik, and even Ziggy Marley also signed on to oppose Hamas. Great news! Here is the text of the petition:We, the undersigned, are saddened by the devastating loss of life endured by Israelis and Palestinians in Gaza. We are pained by the suffering on both sides of the conflict and hope for a solution that brings peace to the region. While we stand firm in our commitment to peace and justice, we must also stand firm against ideologies of hatred and genocide which are reflected in Hamas’ charter, Article 7 of which reads, “There is a Jew hiding behind me, come on and kill him!” The son of a Hamas founder has also commented about the true nature of Hamas. We join together in support of the democratic values we all cherish and in the hope that the healing and transformative power of the arts can be used to build bridges of peace.